Some of the most beautiful places on earth lie just below the surface. For proof, look no further than T-Centralen in Stockholm, Sweden, which has just been named the most beautiful metro station in the world by Expedia. 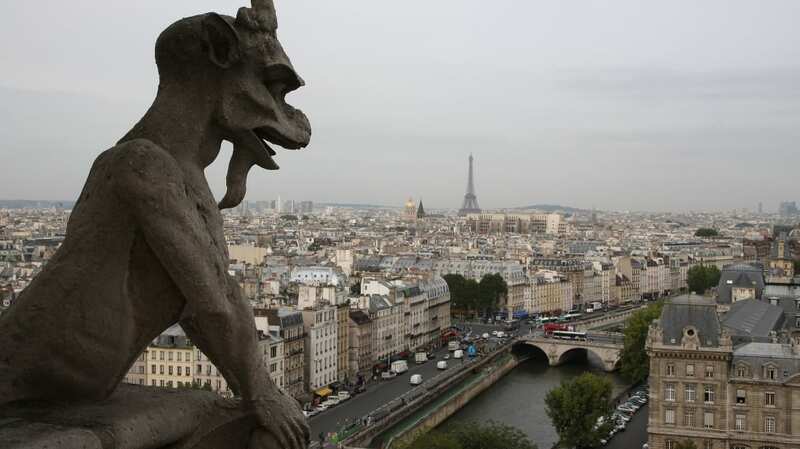 The travel site used Google Trends to analyze the most-mentioned metro stations in the U.S. and Europe, but Expedia ultimately chose the order of its top 10 list and threw in a couple of other hidden gems. Russia and Sweden frequently popped up in their research, so it’s no surprise that stations in those countries secured the top two spots on Expedia's list. Dubbed “the blue platform,” T-Centralen is the main station of Stockholm’s subway system, and it’s also one of the most ornate. Royal blue flowers and plant patterns creep up cave-like walls, and another section pays tribute to the workers who helped build the Metro. It has been suggested that the color blue was chosen to help commuters feel calmer as they go about their busy days. 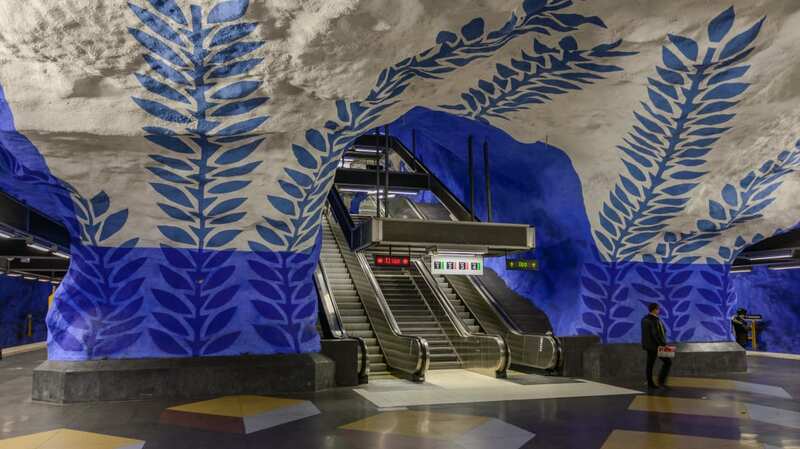 It was the first station in Sweden to feature artwork, which stemmed from a 1956 competition to decorate the city’s metro stops. Over the years, more than 20 artists have contributed their work to various stations throughout the city, some of which have tackled important social and environmental themes like women’s rights, inclusivity, and deforestation. In second place is Moscow’s Kosomolskaya Station, which also has an interesting origin story. When the Metro started operating in 1935, it was designed to help promote Soviet propaganda. Kosomolskaya Station, named for workers of the Komsomol youth league who helped build the first Metro line, had marble walls with gilded mosaics, crystal chandeliers, sculptures of fallen leaders, and painted scenes depicting important moments in Russian history. “Unlike the dirty, utilitarian systems of many cities around the world, the Moscow metro drives through a former—but not forgotten—stage of history that sought to bring palaces to the masses,” Expedia’s report states. Most of the stations on Expedia’s list are in Europe, but three are in the U.S., including two in New York City and one in Washington, D.C.